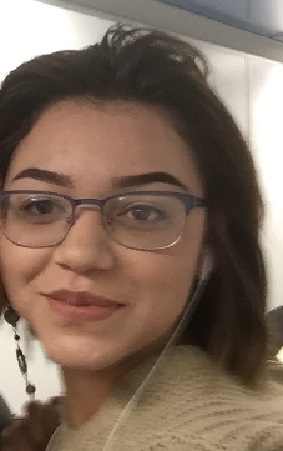 Killeen Police are looking for a reported runaway who may possibly be injured and need medical attention. 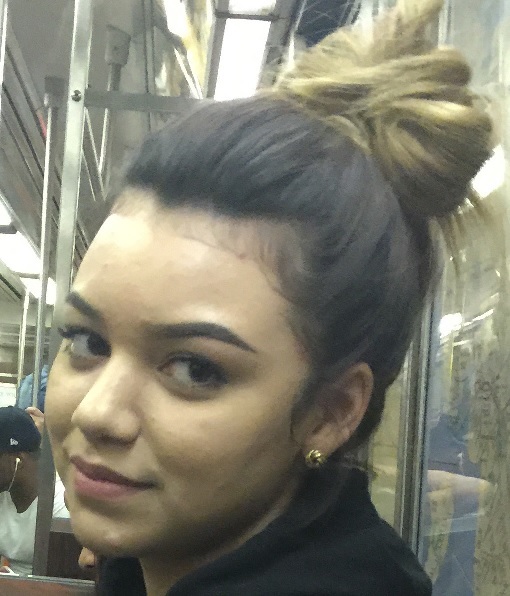 Rubie Matos is a 16 year old Hispanic female with a light complexion and dyed black hair. She wears contacts but sometimes wears glasses. She is 5’6” tall and weighs 140 pounds. She has been gone from her residence in Killeen since June 24, 2016. On June 28, 2016, she was seen by her mother in Killeen and ran from her, as she was running away she jumped over a fence and injured her ankle; her mother has heard from people that she needs medical attention. If anyone knows of Rubie’s whereabouts, they are asked to contact the Killeen Police Department at 254-501-8800 or Rubie’s mother at 254-813-4905. 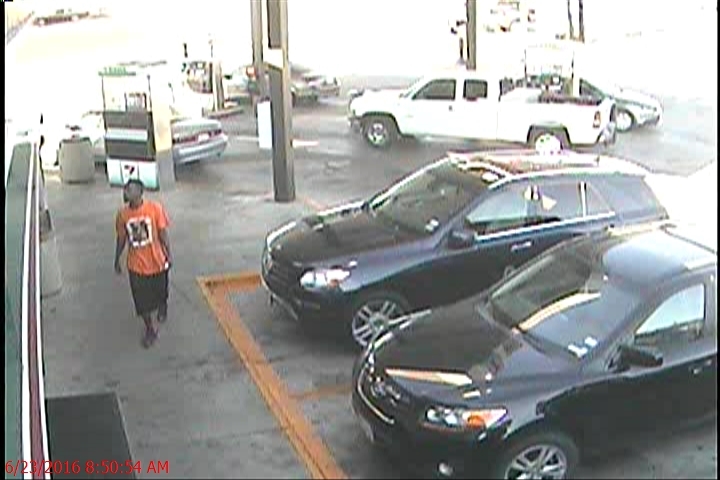 Killeen Police are asking for the community’s help identifying a suspect in a burglary of a vehicle. Officers filed a burglary of a vehicle report at the 7-11 Convenience Store, in the 600 block of S Ft. Hood Street on Thursday, June 23, 2016, just before 9:00 am. The victim told the officer they went into the store to make a purchase and when they returned to their vehicle, they noticed items missing from inside their car. The officer was able to review the security footage and during the course of the investigation, detectives obtained photographs of the suspect. Detectives are asking anyone who may have information on this suspect or his whereabouts to contact Crime Stoppers at 526-TIPS (8477) or go online anonymously at www.bellcountycrimestoppers.com. You can also download the app P3 tips on IOS and Android phones. All information is anonymous and confidential and if your tip leads to the arrest of the person responsible for this crime you could be eligible for a reward up to $1,000 in cash. The Killeen Police Department has been investigating numerous incidents involving shots fired recently in different areas of the city. It has been portrayed that all the recent incidents that have occurred are related; that information is incorrect. The department has increased the patrols in the areas that are known to be affected. Some of these incidents are related to ongoing criminal activity and the victims have been specifically targeted. Of those incidents that have been linked, the detectives are gaining information about the people involved and they have made numerous felony and misdemeanor arrests. The officers have recovered narcotics, taken several weapons off the streets and executed several search warrants. An obstacle the department has to deal with while conducting its investigation, is the lack of cooperation from some of the victims, suspects and witnesses. This often impedes the detective’s investigation and causes a delay in arresting the person or persons responsible for the crime. The death that occurred on Buckley Drive on June 6, 2016, is not related to any of these recent incidents. The person, who was taken into custody, was released by the Bell County District Attorney’s Office, pending further investigation. Other incidents that occurred were employment related, domestic violence related and drug related. All of the incidents are under investigation therefore, no further information will be released at this time. The department is working diligently to solve these crimes; detectives are following any leads given. The Killeen Police Department is working with federal, state and local agencies, by sharing information and gathering intelligence. The number one priority of the Killeen Police Department is the safety of the citizens. Crime is not only a police problem but a community problem. If the citizens unite with the police department, we can work together to make a safer community. Citizens are asked to be vigilant of your surroundings, if you see something out of the ordinary or suspicious in nature, contact the Killeen Police Department at 254-501-8800. Call 911 immediately if you see a crime in progress. Killeen Police Investigate an afternoon Deadly Conduct on Veteran’s Memorial Blvd. Officers responded to the 1300 block of E. Veteran’s Memorial Blvd on Monday, June 27, 2016, just before 4:30pm, after receiving a 911 call telling them a black male and a black female shot at the employees inside the shop. As the officers were responding to the area, they were told the suspects fled in a gold Ford Crown Victoria and they were last seen traveling east on VMB. An officer located a vehicle that matched the description of the suspect vehicle and was occupied by a black male and a black female but after further investigation, it was determined this was not the suspects involved in this incident. The employees told the officers that the black male entered A Personal Touch Detailing asking for a male. When the employees told him the male was not there he became upset, went to his vehicle and pulled out a handgun and shot at both employees. The black male and the black female entered the gold Ford and as they were leaving, the female fired one shot at the employee. No one was injured during this incident. The officers searched the area but were unable to locate the vehicle at the time. At approximately 6:00pm, officers responded to the 1800 block of Cedarhill in reference to shots fired. The caller advised a male in a gold Ford Crown Victoria shot at an apartment building and a vehicle. The suspect fled the scene before officers’ arrival. No one was injured during this incident. The detectives believe both incidents are involving the same suspect. After further investigation it has been determined these two incidents are not related to any other recent shots fired incidents. These cases continues to be investigated and information will be released as it becomes available. Killeen Police and the Federal Bureau of Investigation charge man who fled with federal charges. On June 22, 2016, at approximately 11:22 p.m., detectives were conducting further investigation into the recent gang related incidents. They identified a vehicle of interest and had patrol officers attempt to stop the vehicle near the intersection of Old FM 440 and Elms Road. The driver of the vehicle fled from the officers and a pursuit ensued. The pursuit led through Killeen and into Harker Heights where the vehicle stopped on Beaver Trail. The driver attempted to flee on foot and was caught after a short foot chase. A handgun and narcotics were recovered during the investigation. The driver was taken into custody and transported to Killeen City Jail. The Killeen Police Department, with the assistance of the Federal Bureau of Investigation, filed federal charges in this incident. On Friday, June 24, 2016, 28 year old Tremayne Darius Voelker, was transported to the Federal Courthouse in Waco, where he went before the Federal Magistrate and was arraigned on the charge of Felon in Possession of a Firearm. Detectives continue to investigate this case and further federal charges are pending. Information will be released as it becomes available. Killeen Police investigate a report of shots fired in the area of Burr Oak Drive and Shumard Drive. Officers responded to several calls from residents in the area of Shumard Drive and Burr Oak Drive on Thursday, June 23, 2016 at 10:23pm. The callers told the officers that they heard gunshots being fired. Officers responded and located a residence in the 3900 block of Burr Oak Drive that had been hit. The officers searched the area but were unable to locate anyone responsible for the shots fired and none of the residents saw anyone. No one was injured during this incident. Detectives are asking anyone that has information about this incident to contact Crime Stoppers at 254-526-TIPS (8477) or go online at www.bellcountycrimestoppers.com. You can download the P3tips app for IOS and Android and give anonymous tips as well. All information is anonymous and confidential and if your tip leads to the arrest of the person or persons responsible, you could be eligible to receive a reward up to $1,000 in cash. Killeen Police are investigating an incident involving shots fired that occurred in the area of Barrington and Michael Dr.
Officers responded to a 911 call on Thursday, June 23, 2016, at 6:32pm, telling them that a male in a maroon and gold pickup shot at another male in the area of Barrington and Michael Drive. The officers arrived and were told that a male was walking in the roadway when a maroon and gold Ford pickup driven by a black male drove up behind the male and shot at him twice. The male began running and was able to get away from the pickup. The driver then drove east on Michael Drive, stopped at a residence, then left again traveling west on Michael. Officers located the pickup and stopped it at the Star Mart on Stan Schlueter. Witnesses identified the suspect and he was detained at that time. The male was subsequently taken into custody and transported to the Killeen City Jail. Shortly afterwards the residents at one of the houses in the area located a bullet hole in the front of their house. The male victim was not injured and no one was injured inside the residence. Detectives are continuing to investigate this incident and information will be released as it becomes available. 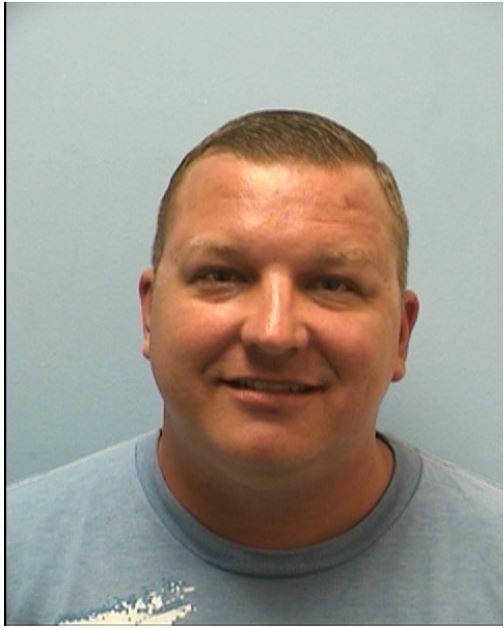 A former KPD Sergeant arrested. 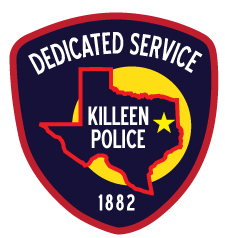 In December 2015, Killeen Police were notified of a possible sexual assault that occurred earlier in the year involving a Killeen Police Officer. Upon receiving this information, criminal and internal investigations were initiated immediately. During the ensuing internal and criminal investigations, it was determined that Sergeant Macaire Morrissey was untruthful to investigators and impeded the sexual assault investigation. Sergeant Morrissey was placed on administrative leave and a separate criminal investigation was initiated. On June 6, 2016, Morrissey’s employment with KPD was terminated for multiple violations of departmental general orders and violation of Local Civil Service Rules and Regulations. Detectives with the Criminal Investigation Division determined that there was sufficient evidence to support probable cause for criminal charges against Morrissey. The case was reviewed and accepted by the Bell County Attorney’s Office. KPD Detectives subsequently obtained an arrest warrant, charging Morrissey with False Report to a Peace Officer. Morrissey turned himself into the Travis County Sheriff’s Department on June 22, 2016. Because this investigation is continuing and a civil service appeal is pending, there will be no further information released, interviews given or further comments at this time. Killeen Police Department and the Federal Bureau of Investigations are investigating a Bank Robbery on Trimmier Road. Officers responded to the 1st National Bank Texas located at 2201 Trimmier Road at 4:39pm on Wednesday, June 22, 2016, in reference to a bank robbery that had just occurred. Upon the officers arrival they were told that a black male wearing a black hooded sweatshirt and jeans walked into the bank and approached the teller, and demanded money in a threatening manner however a weapon was not displayed. After receiving an undisclosed amount of money, the suspect fled the area on foot northbound on Trimmier. 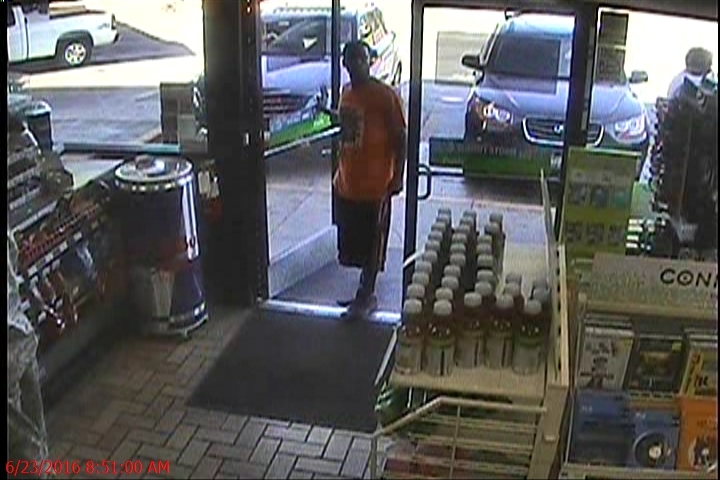 The suspect is described to be approximately 5’5” tall and weighs between 120 -130 pounds. No employees or patrons were harmed during this incident. Detectives are asking anyone who has information about this bank robbery to contact Crime Stoppers at 526-TIPS (8477) or go online anonymously at www.bellcountycrimestoppers.com. You can also download the app P3 tips on IOS and Android phones. All information is anonymous and confidential and if your tip leads to the arrest of the person responsible for this crime you could be eligible for a reward up to $1,000 in cash. This case continues to be investigated by the FBI and the Killeen Police Department Criminal Investigations Division; additional information will be released as it becomes available. 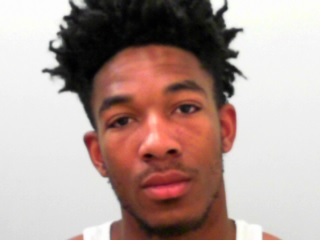 Killeen Police looking for a wanted man who has involvement in recent shootings. The Killeen Police Department has been conducting an intense and aggressive investigation into the recent gang related incidents. During this investigation detectives have identified one of the persons responsible for shooting at an occupied vehicle. 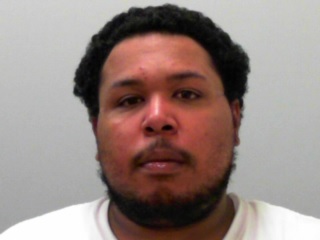 The Criminal Investigation Division, with assistance from the Bell County District Attorney’s Office, was able to obtain a felony arrest warrant for Derrick Ronell Thomas Jr. He also goes by Derrick Nelson or Derrick Thomas-Nelson. Derrick Ronell Thomas Jr. is a 20 year old black male; he is 5’ 10” tall and weighs approximately 165 pounds. HE IS CONSIDERED ARMED AND DANGEROUS. DO NOT ATTEMPT TO APPREHEND HIM! Detectives are asking for the community’s assistance in locating Mr. Thomas. Anyone having information on his whereabouts should contact Crime Stoppers immediately at 254-526-TIPS (8477) or go online at www.bellcountycrimestoppers.com. You can download the P3tips app for IOS and Android and give anonymous tips as well. All information is confidential and if your tip leads to the arrest of this wanted person, you could be eligible to receive a reward up to $1,000 in cash. The Killeen Police Department is continuing to aggressively pursue this investigation with the assistance of the Federal Bureau of Investigation, Texas Department of Public Safety and local area law enforcement.